On May 30 and 31, Rockville Centre is hosting their Spring Festival. Come by the municipal parking lot on Sunrise Highway and Long Beach Road for some fun! The festival is hosted by Showtiques Crafts, Inc., who host over 40 events all over Long Island each year. 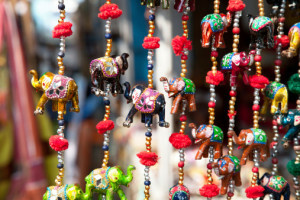 The Rockville Centre Spring Festival will have plenty of locally crafted trinkets, décor, jewelry, clothing and more. There will also be plenty of foods from corndogs to funnel cake, so don’t miss out! 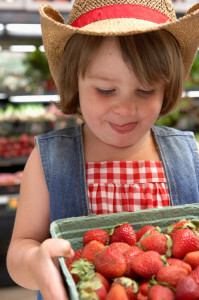 Have some fun at the Nassau County Strawberry Festival from Thursday, May 28 to Sunday, May 31. The festival is jam packed with strawberries, including chocolate covered strawberries, strawberry cheesecake, strawberry shortcake, daiquiris and more! There will be plenty more great food, too. The Strawberry Festival will feature a craft and gift show as well as tons of amusement rides and games. Stop by the Bellmore BOCES School Ground that weekend for fun and an endless supply of strawberries! Attention all wing lovers, indulge in all flavors of chicken wings at The New York Best Wings Festival. The event takes place Sunday, June 7 at the NYCB Theatre at Westbury from 11 am to 7 pm. That means a whole day dedicated to wings from all over Long Island and New York, craft beer and plenty of other food and fun. 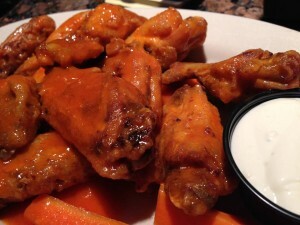 There’s wing eating contests, prizes, giveaways, games and more. Croxley’s Ale House & Eatery and Famous Murph’s Bloody Mary Mix of Rockville Centre will both be in attendance. Awards will be given to those who enter The Best Wings Championships. Get your tickets now and start prepping your stomach for one of the best Long Island festivals. There’s nothing better than taking the day to try different beer from over 100 breweries from all over the country. Beer Fields, a craft beer and music festival features 150 plus selection of beers to choose from and 12 bands are performing, including Dirty Heads and the Wailers headlining. This special event is for 21 years of age and up. The festival is hosted at The Pennysaver Amphitheater on June 27. Bring some blankets and lawn chairs and have some fun on the field while listening to great music, sampling craft beer with great food. 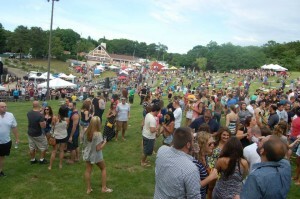 Enjoy these great spring and summer Long Island festivals! There’s plenty of fun to go around. Just remember to be responsible! All Island Transportation will gladly provide service to and from the festivals to ensure your safety. Make a reservation online or call us at a location near you.